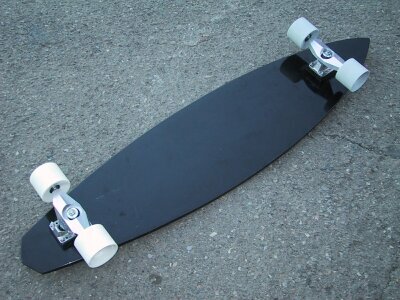 Here are a couple of shots of a prototype downhill board we're looking to take into production. This board was set up with Avalons and 127mm TTC's front and rear spaced out to 138mm. It's a bit too early to tell what the price will be, but we do hope to have some production units within 8-10 weeks. 2. Is it glass and foam only? Any composites in the construction? P.S. By the way, those suckers WORK. My Cambrias on the Ick and the cutaway Summer Ski howl. I was just a little distressed I didn't get the chance to open 'em up on Gran Elen Drive in Athens. Oh, well. Another chance will come along soon. 1. Yes, there's approx 0.75" of camber, and it may be a bit less once we get into production. A couple of the teams guys are thinking about running the board flipped (rockered) for downhill. 2. Glass/foam plus carbon and some trick unidirectional glass. 3. Hadn't thought about drilling patterns yet - we'll need to drill a board with a number of truck positions to get an idea of what works best (though it gives me pain to visualize this board with a bunch of holes). Glad you like the Cambria's - the traction turned out to be every bit as good as I'd hoped. one question regarding the TTC´s, at ncdsa(and i think in turner site) says that the TTC are for the rear only, what are the benefits on using both TTCs on big decks like this?. i know it would be a killing the deck, but can this deck be cuted to use drop thru trucks? Leonardo - I set the board up with 2 TTC's because I didn't have any other wide trucks available. A wider Seismic or Tracker would have been fine, though the TTC works as a front truck - it's just a bit slower turning because of the geometry. In terms of drop-through, there just isn't enough wheel clearance, plus special reinforcement would be needed in the composite construction. 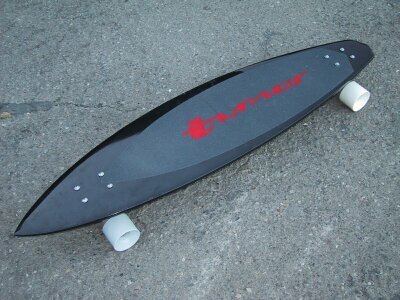 So with the downsizing at Turner, what's the status with the 44" downhill board? As it's a foam-core construction, who's doing the glassing? Is the project also on hold or is Turner Downhill looking at another source for assembling these boards? With the various Fibreflexes, the Bonita and Ick's 37" board, it would be sad if Turner did not have a design to offer in the growing sport of longboard slalom. 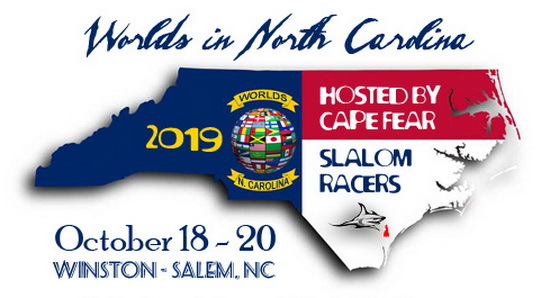 With the emergence of banked slalom, longboard slalom, and bigger giant slalom courses, we have a clear concept of what we need to build, and are already working on new designs for next season. Expect to see us continue along the path of construction techniques used in the hybrid boards, and look forward to new product announcements in the February/March timeframe. it sure was a blast being able to ride that board to the podium @ the a WLAC series longboard event. Has that board been in any other races this year. if so , how did it do ? Wes - that particular board was retired before it saw any further racing - there was an issue with lamination of the top layer of glass, and we decided not to stress it. I was glad to see it do so well at WLAC, and look forward to building more of that style of board, though with a somewhat different approach to the construction. Sorry to hear it got " retired " . So then Mr. Vince Turner is going to make some more ? I hope in the future Vince will be able to build more boards. In the mean time, the plan is to build that style of deck using snowboard production techniques, where we'll be able to create a stronger lamination. My goal is to have something ready in time for the new season. my gun is 42.5 inches from nose to tail. maintains speed well. i have taken it to around 45mph so far. hoping to find some killer hills so i can truly see what this beast can do.